Nothing but your sweet, sweet sleep. You can try NECTAR risk free for a full year. If you are not 100% happy, we will pick up the mattress for free. We’ve taken the recent advances in mattress and fabric technology and run with them. Having figured out the optimal levels of firmness, coolness, breathability, and comfort - we put them all into one mattress, making it the best mattress you’ve ever slept on. Period. One of the best things about the NECTAR mattress is that it relieves pressure wherever you normally feel it the most. We make sure that NECTAR is firm enough to support you, but soft enough to be gentle where you’re sensitive. No more tossing and turning. Whether you’re a back, side or front sleeper, NECTAR molds to your body, relieving all your aches and pains. At NECTAR you’ll get no eggs, no jokes, and no BS. Just the best damn mattress you’ve ever bought, at the best possible price. We believe you should only have to pay for your sleep, not our clever marketing. Simply put, this could be the last mattress you’ll ever need to buy. The quality of your sleep over the next 5 years will impact the next 25 years of your life, and beyond. Considering you’ll spend about a third of your life sleeping, don’t you think it’s worth making your mattress the most comfortable and reliable thing you own? Try NECTAR Risk Free Today! 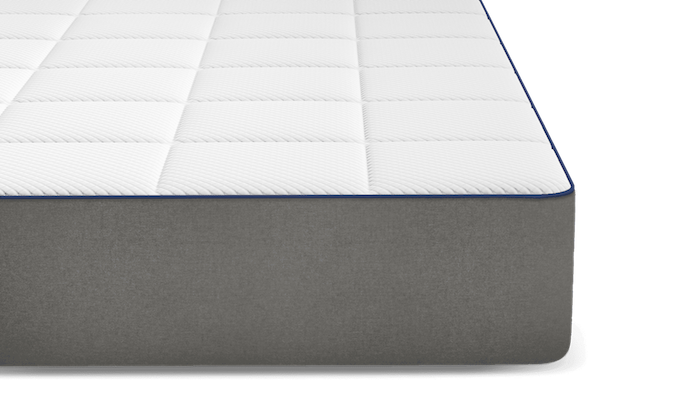 "Out of all the mattresses we’ve tested, it’s the most comfortable. I’m sleeping on the Nectar moving forward. No question about it."